A child’s first teeth are important for a kid to learn how to eat and talk properly. Healthy baby teeth and gums also makes sure a healthy area for the child’s permanent teeth. 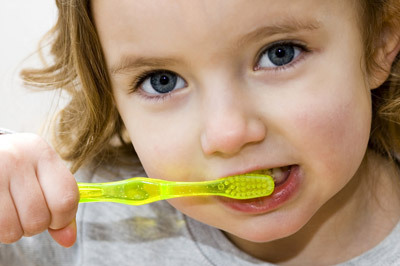 Teaching your kid proper oral care at a young age is an investment in their health. Start by setting an example. Take good care of your own teeth and your kid will learn that oral health should be valued. Make taking care of teeth fun, like brushing along to a song or letting them select their own toothbrush, to inspire proper oral care. Kids should start to see the dentist within six months of their first tooth or by their first birthday.